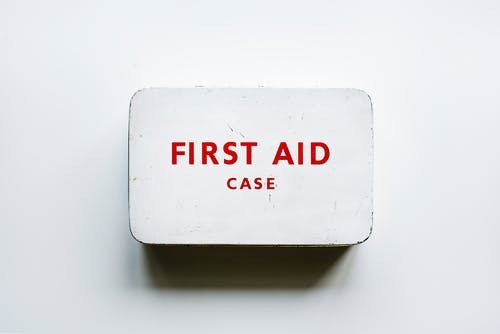 Your workplace should always have a first aid kit readily available. If anybody is injured in the workplace, he or she should receive first aid as soon as possible. Then, the victim or an advocate for him or her should ensure that he or she receives professional medical attention and that the accident is reported properly. Make workplace safety a priority. Below are the basic components of any first aid kit. You might need to include additional items based on the specific dangers of your workplace. Purchase an OSHA-compliant first aid kit that contains enough items to serve a workplace of your size. 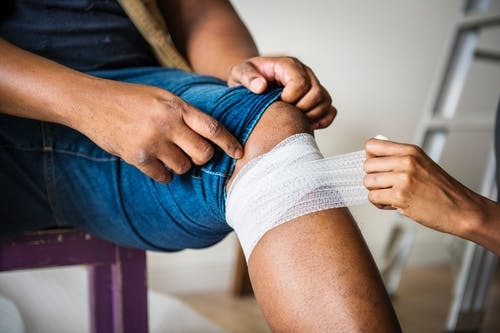 Be sure to have sterile bandages and gauze in multiple sizes in your first aid kit. They should include adhesive bandages, roller bandages, gauze pads, and adhesive cloth tape. Keep a pair of scissors in the first aid kit as well to cut bandages and gauze into custom sizes as needed. When an individual suffers a cut, the cut must be cleaned before the wound is dressed. Have sterile ointment on hand for this purpose. Antibiotic ointment can help the victim avoid an infection. A cold compress can soothe an injury and protect body tissue by keeping swelling down. Instant cold compresses become cold when activated, so the victim can have relief as soon as the first aid kit is opened. If mouth-to-mouth resuscitation is needed, this barrier will aid in it. When a victim suffers from a splinter or a cut from shattered glass, tweezers can be used to pick the splinter or shards out of his or her wound. It is equally important that the victim receive sterile care and that the party administering care does not come into contact with bodily fluids. Keeping a pair of sterile gloves in your workplace first aid kit can guarantee that both of these goals are achieved when an accident happens. Workplace safety truly begins with a properly trained workforce. The amount and specifics of your training will depend on your industry and your workplace. 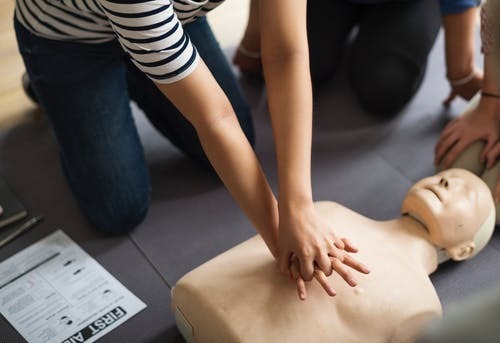 However, some of the most important training to implement include: basic first aid, how to use a fire extinguisher, proper PPE, working in harsh conditions, CPR and more. Having well-trained employees ultimately improves the safety of everyone. Safety in the workplace is a group effort. If you have questions about how to be safe in your current job or how to find a new job that suits your needs, speak with one of the experienced staffing specialists at Stand-by Personnel. Contact us today to set up your consultation with a member of our team.